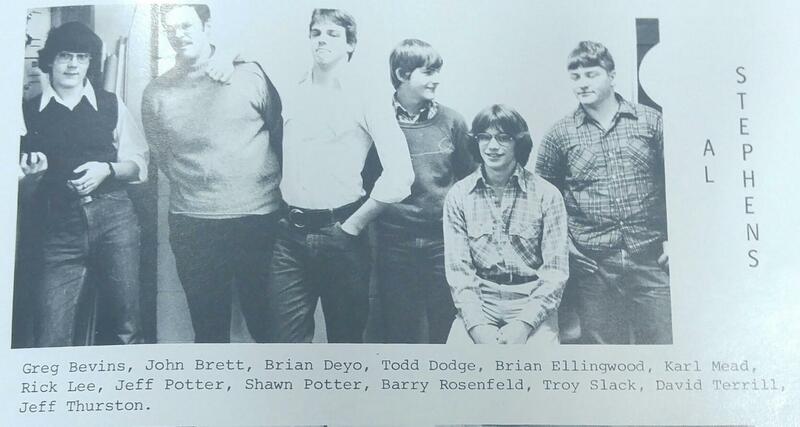 Shawn Potter’s TA. In the late seventies, TA was a mix of grades. 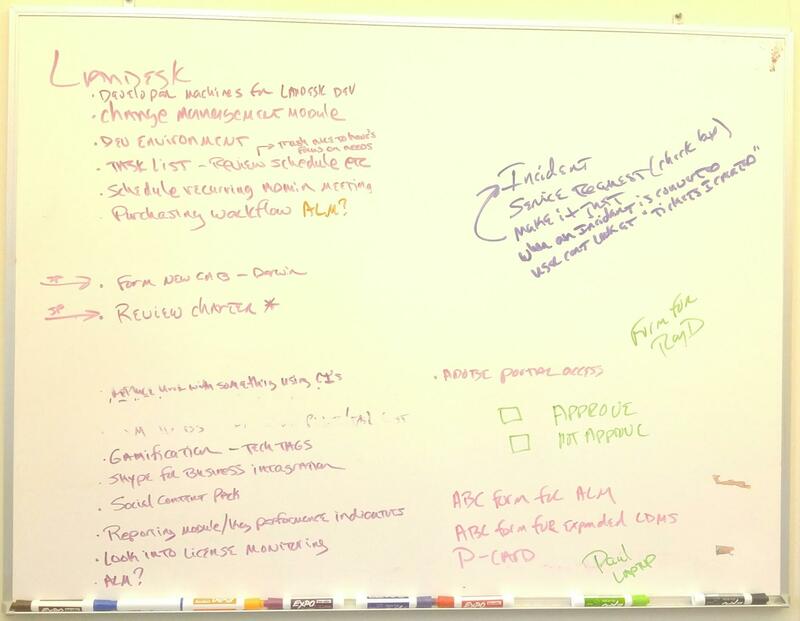 The white board in Shawn’s office. Today Shawn is the director of Desktop Services for the state of Vermont. He lives in Barre Town and works in Montpelier. Potter and his eighteen employees budget, manage, and service computers and printers for six thousand state employees. Shawn has worked for years with groups of workers who need to talk out issues. Looking back at his years at U-32, he feels the school needed to try to break down social barriers. Shawn was able to avoid being bullied because of his older brother. He and his friends would come check in on him and make sure everything was okay. Shawn also never joined a clique. He was “more concerned about talking to everybody.” He was in an out of school band, jazz band in school, and played sports. Left: Shawn in his old band, Cry Havoc. 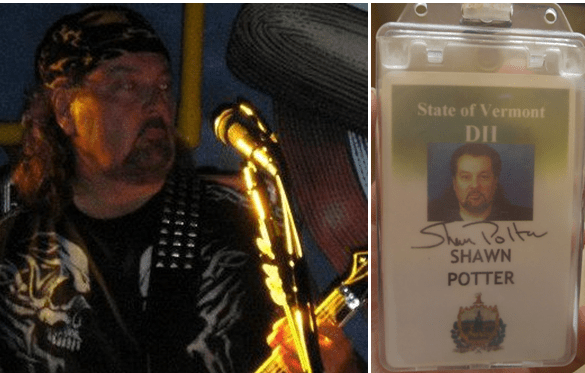 Right: His ID badge for his work for the state of Vermont. Teachers weren’t much help. “Students didn’t feel like they could approach the teachers and say ‘I’m getting beat up,’” Shawn said. Shawn sees high school as a place for learning. He says that you should always continue your education, and that you are responsible for you learning. The view from Shawn’s office. Thanks for sharing. We certainly did have a unique high school experience. I teach in a high school now.